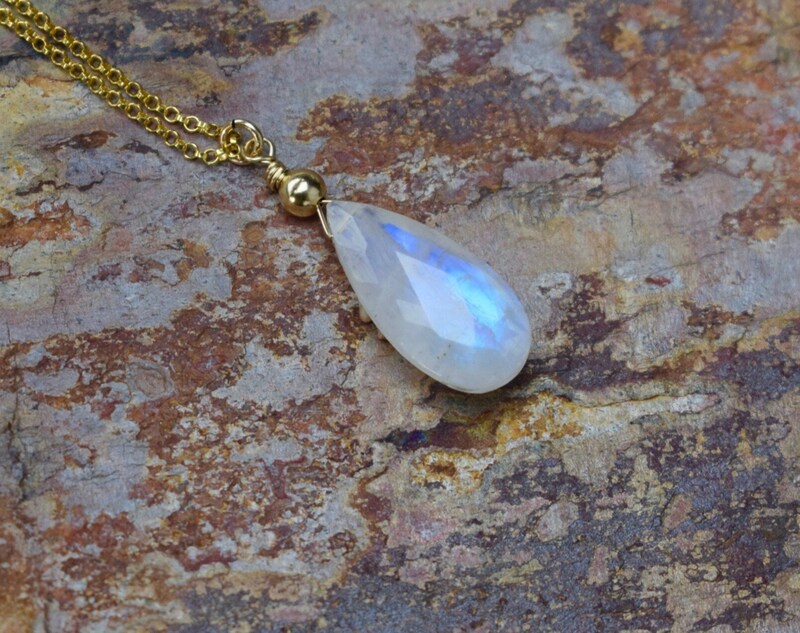 This large Moonstone teardrop is faceted so that it catches the light beautifully as you move. 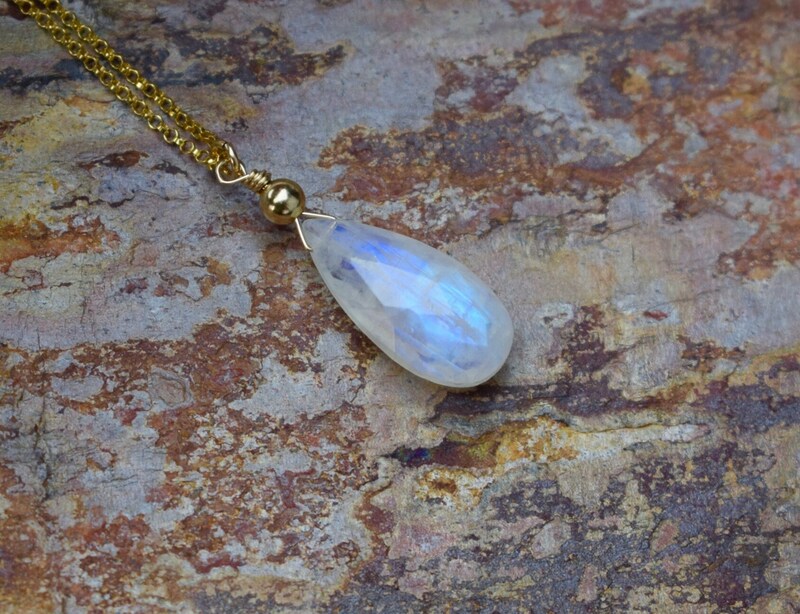 The AAA quality gemstone briolette has exquisite flashes of electric blue that can be seen from many angles! 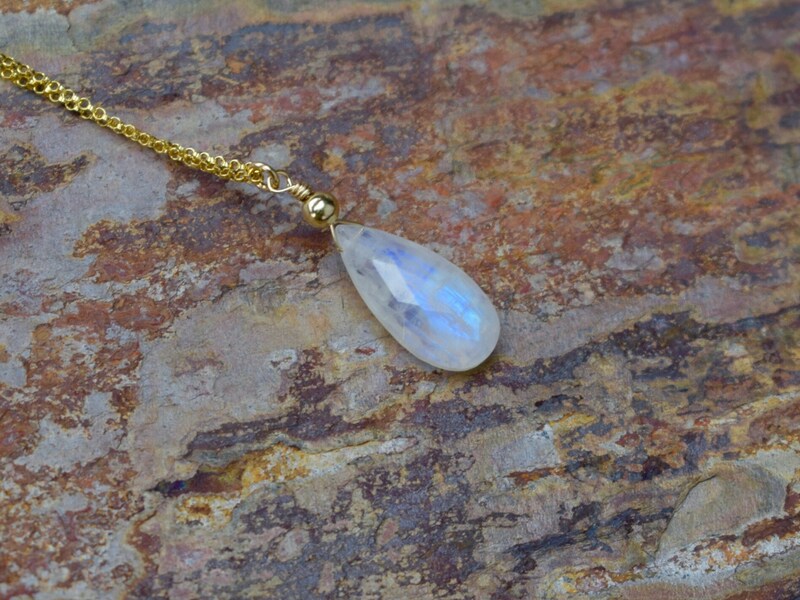 The Moonstone has been wrapped with 14k gold filled wire and paired with a fine 14k gold filled Rolo chain. 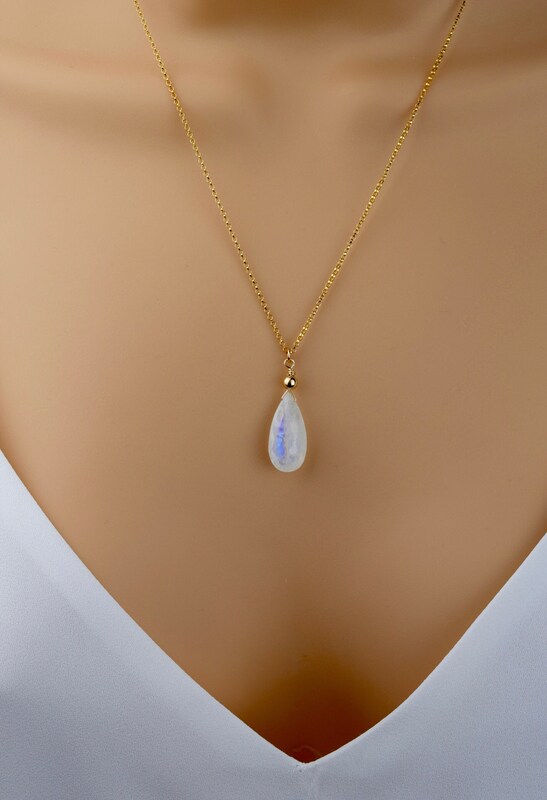 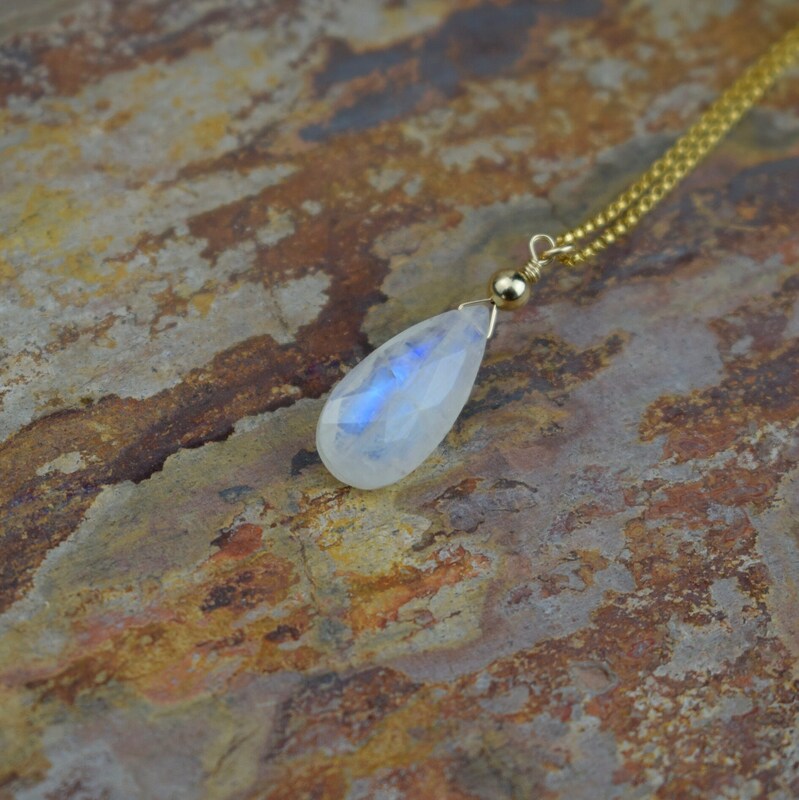 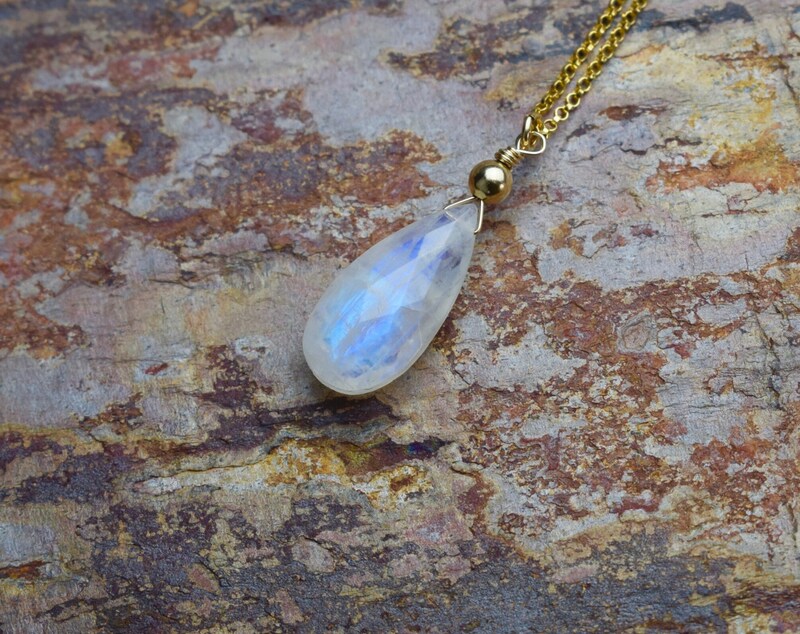 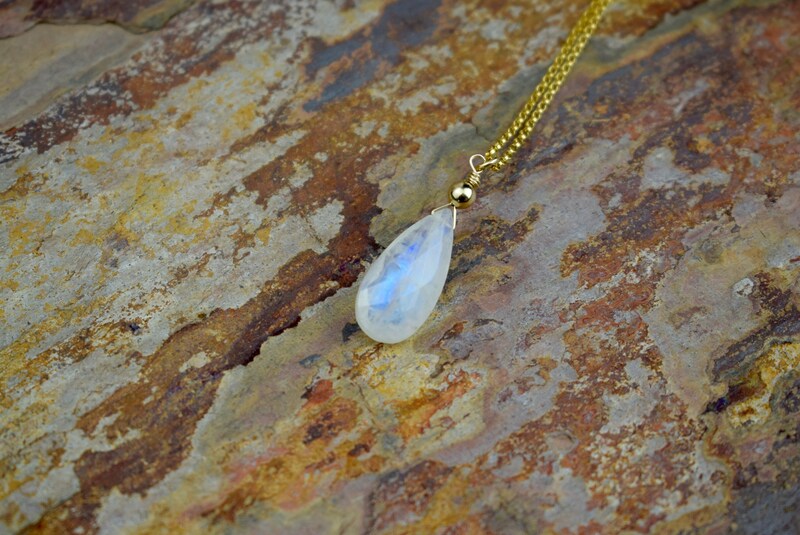 This beautiful Rainbow Moonstone pendant necklace will compliment many styles.